What we love about this package - Cheapest Package Price - More Money to spend on Mickey Ice Cream Bars! What we love about this package - This room includes a 5th Sleeper - the kids will love to have their own bed to sleep on ! What we love about this package - this resort is AMAZING! Grab your coffee and a seat on a rocking chair on the deck to watch the Giraffe’s graze. Enjoy laid-back luxury and contemporary comfort at Loews Santa Monica Beach Hotel. Southern California provides the sunny beachfront setting and sensational ocean views. Loews provides signature service and gracious hospitality. You will savor every moment you spend with us at our Santa Monica luxury hotel. Moments from Malibu and Venice our contemporary accommodations on Californias most celebrated beach bring an authentic local style and exceptionally personal service to this vibrant seaside setting. Guests enjoy a fabulous array of amenities including an expansive oceanfront pool and lounge area. Take a seat at Ocean and Vine restaurant featuring Californian style farm-to-table cooking. Enjoy the ocean views while sampling from our extensive wine list comprised of some of the most prestigious Californian Vineyards. Ocean Spa and Fitness has undergone a complete transformation and now features eco-friendly spa products that aim to reduce our impact on the environment all while providing an unrivaled spa experience. 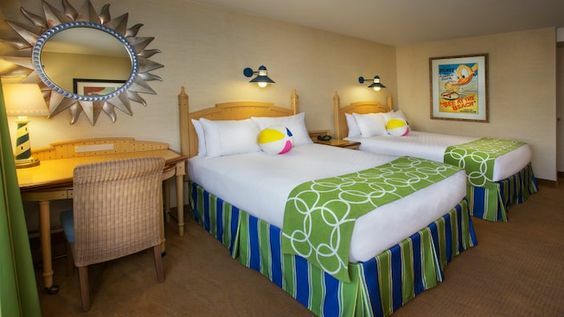 Discover spacious accommodations overlooking the California sand and surf at Loews Santa Monica Beach Hotel. This spectacular beach hotel offers dramatic views of the Pacific Ocean and Santa Monica. Each of our 342 spacious rooms and suites offer stylish design and sophisticated guest comforts bringing a breath of fresh air to our Santa Monica hotel accommodations. All guest rooms feature Free Wi-Fi / bathrobe / Keurig coffee maker / make-up mirror / hair dryer / 42 inch flat panel TVs / Spacious bathrooms with 10 inch LCD TVs. New glass guestroom balconies that boast crystal clear views of the Pacific Ocean and Malibu are central to the facade redesign, making work time and down time a little more pleasurable. The renewed facade is the beginning of a series of capital investments to keep the hotel fresh and competitive within the thriving Santa Monica hotel scene. STANDARD 2 QUEENS. 330 SQ FT. STEP OUT BALCONY NO VIEW. WALK IN SHOWER.